Click here to view a digital version of our 2018 magazine. Ten-2-Profit | The keystone event of this year’s meeting was our new Ten-2-Profit session. It offered vendors the opportunity to pre-schedule individual, 10 minute appointments with the buyers of their choice. 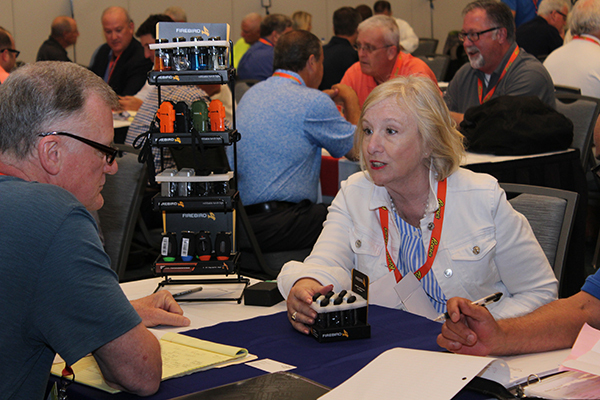 Similar to speed-dating, these pre-scheduled meetings allowed vendors to put together products/services deals ahead of time specifically for the buyers that they would meet. 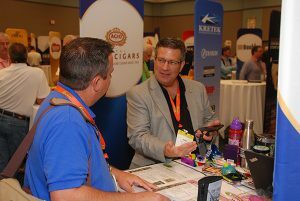 With over 600 individual meetings occurring during this event, the room was a buzz with excitement before, during and after. 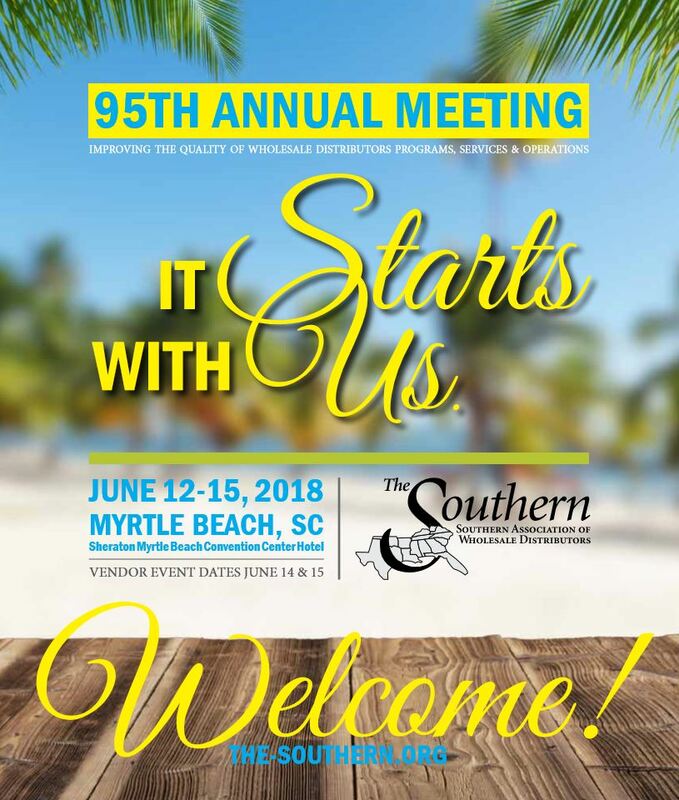 House of “Deals” | The Southern’s other exciting event of the 2018 annual meeting, was the House of Deals. This time the Vendors were set up throughout the ballroom in a relaxed, fun atmosphere and showcased their products to the buyers that came by to continue the discussions started during their Ten-2-Profit meetings. This was a great way to end the week for all who participated. 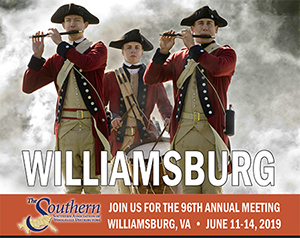 The Southern’s Virtual House of Deals | And last but not least, let’s not forget the success of the Southern’s Virtual House of Deals, the perfect compliment to our two new events. Open from June 1st through June 30th, the portal allowed buyers plenty of time to evaluate and take advantage of awesome deals from the comfort of their offices in the weeks before AND after the annual meeting. At last count, well over $1 million in deals were transacted using this process alone. Thank you to Spotlight Innovations for partnering with us and building this incredible tool for our attendees. 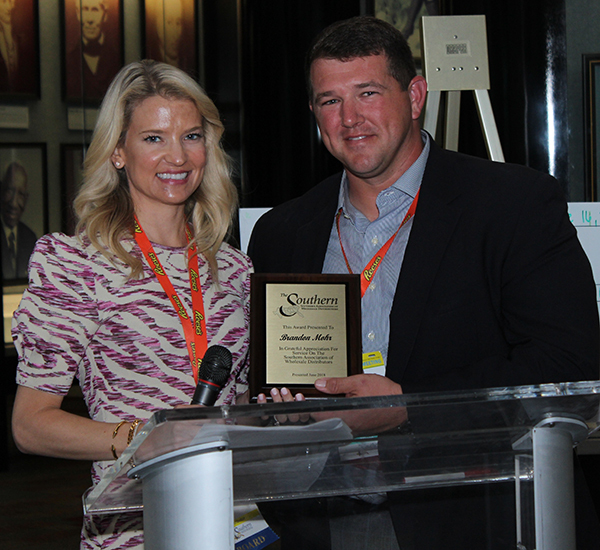 The Southern Leader of the Year Award was presented to Brandon Mohr with Altria by Leanne Jennings with J.L. Gaddy. The Outgoing SLD President, Leanne Jennings with J.L. 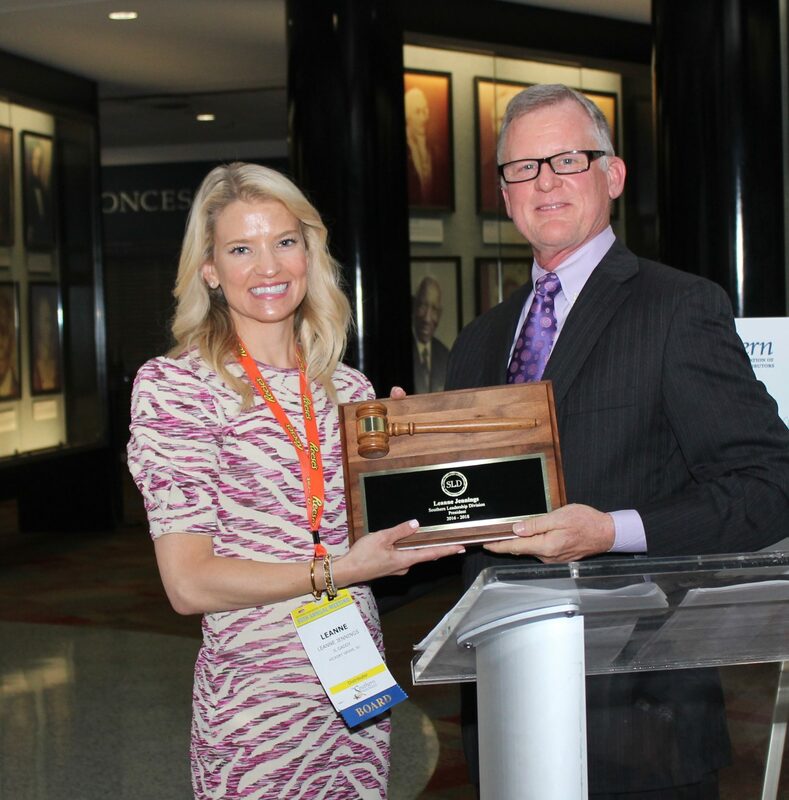 Gaddy, was recognized by Ron Leitner with RAI Trade Marketing. 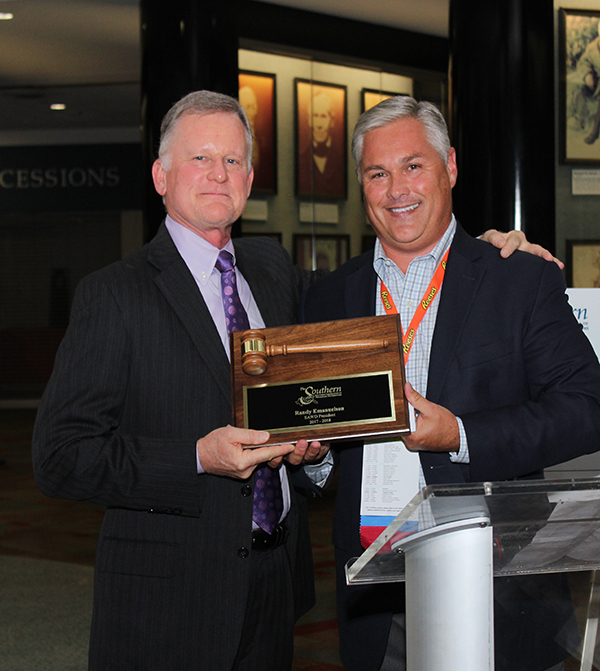 The Hershey Leadership Award was presented to Randy Emanuelson with Team Sledd by Brent Cotten with The Hershey Company for his outstanding leadership of The Southern for the last year. 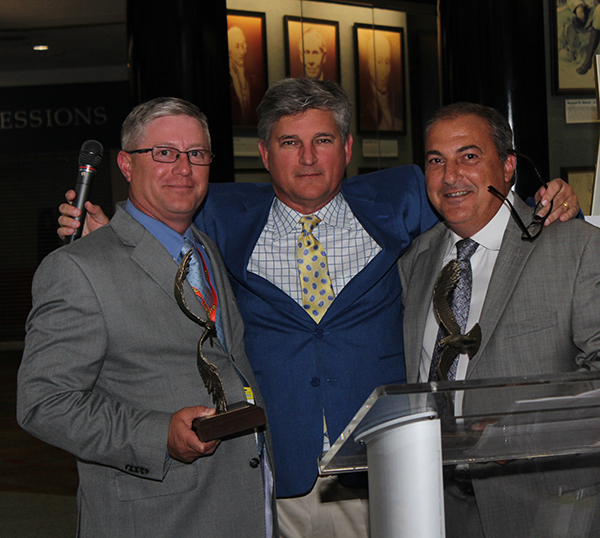 The Southern Liberty Award was presented to Jimmy Naifeh with Standard Distribution and Corey Cooper with Stephenson Wholesale (Indian Nation) by Steve Douglas with Douglas Companies. 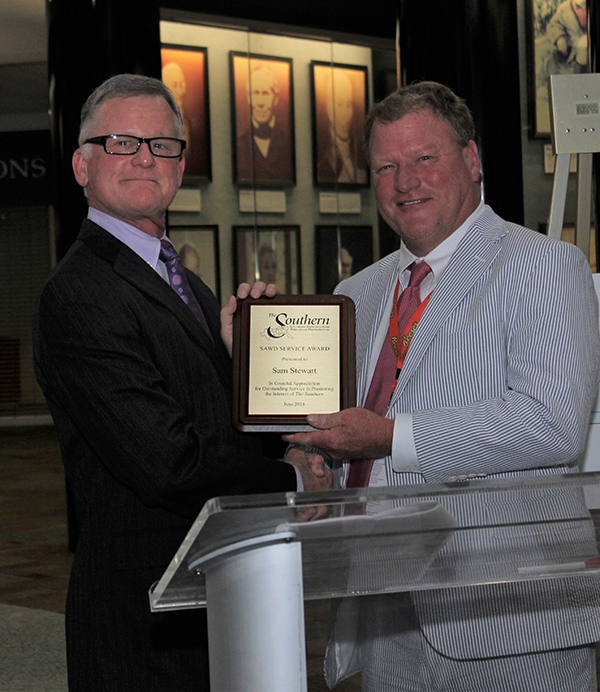 The SAWD Service Award was given to Sam Stewart with Stewart Candy by Charlie Casper with Hardec’s. 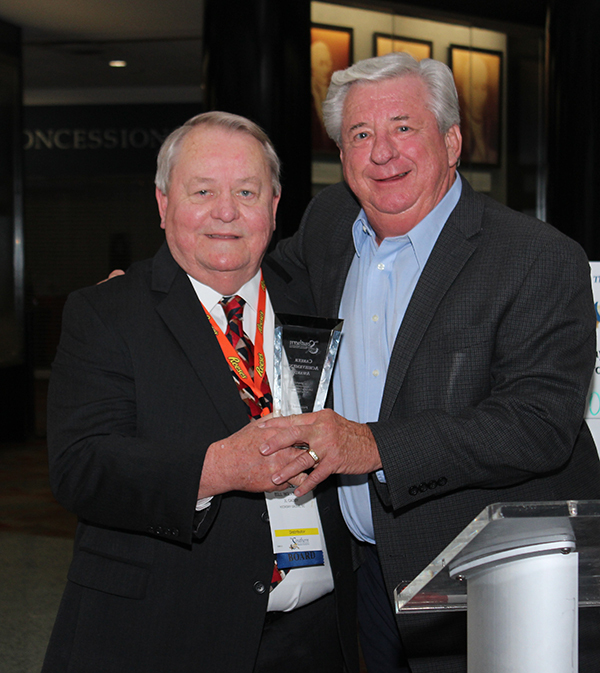 The Vendor of the Year was presented to Craig Leiker with ITG Brands by Randy Emanuelson with Team Sledd. 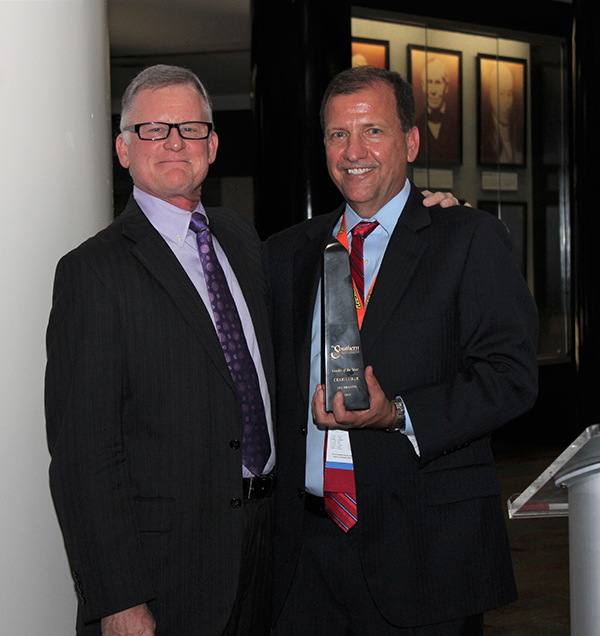 The Career Achievement Award were presented to Bill Wilkerson with J.L. Gaddy by Ricky Jones with Andalusia Distributing. Meetings with a Mission was designed to encourage connections between our attendees and those in need of assistance across the country. This year, we partnered with the Wounded Warriors Project. We are proud to announce that we collected over $2,673 in cash (and that was in addition to the $1,000 check from The Southern). Thank you to everyone who supported this great cause! The Southern’s Education Fund provides educational opportunities for SAWD members, their employees and family members. We are very excited to announce that we raised close to $30,000 for the fund from the Silent Auction, Raffle and Wine Grab. Thank you to everyone who contributed!